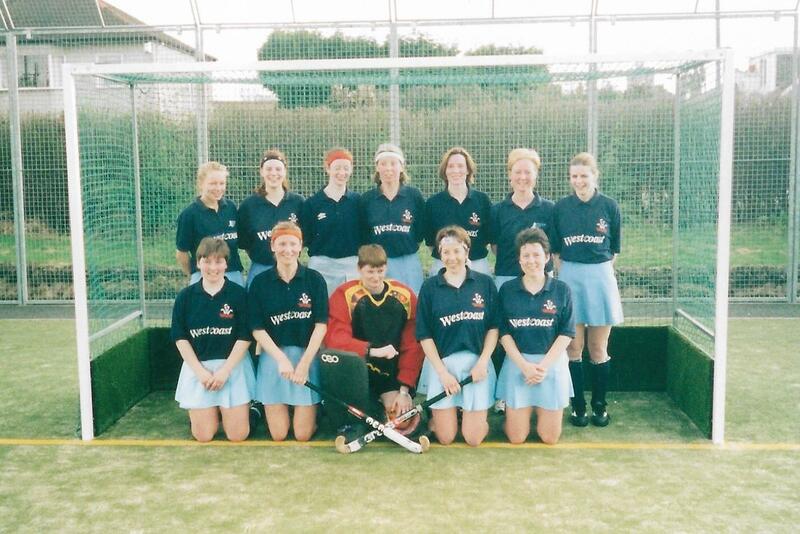 After 15 years in the hockey wilderness, Marnie Moulson has a hockey stick in her hand again and she’s loving it! 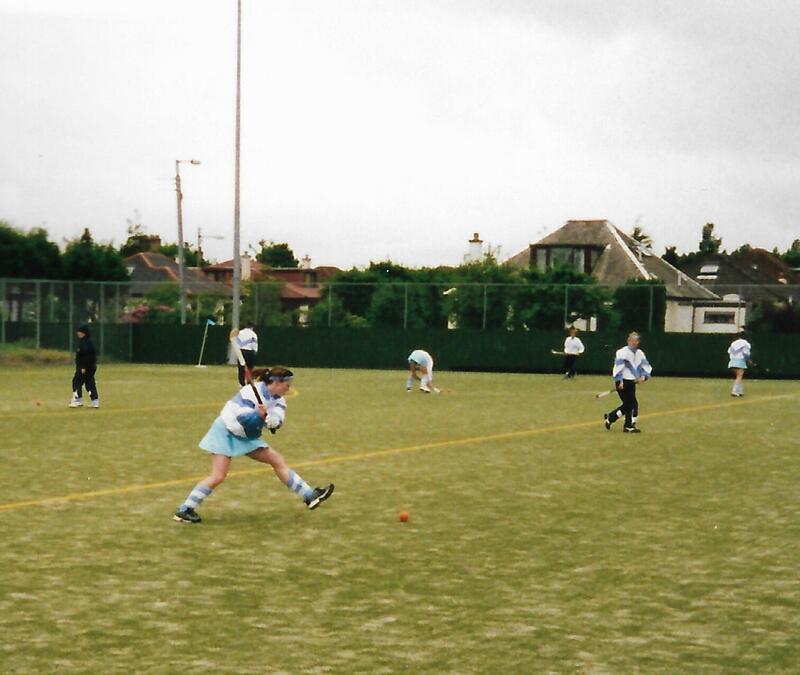 Coached at school by Wendy Justice, Marnie had a good start to hockey but she was also keen to thank Peter Justice and Neil Menzies for their valuable coaching input over the years. 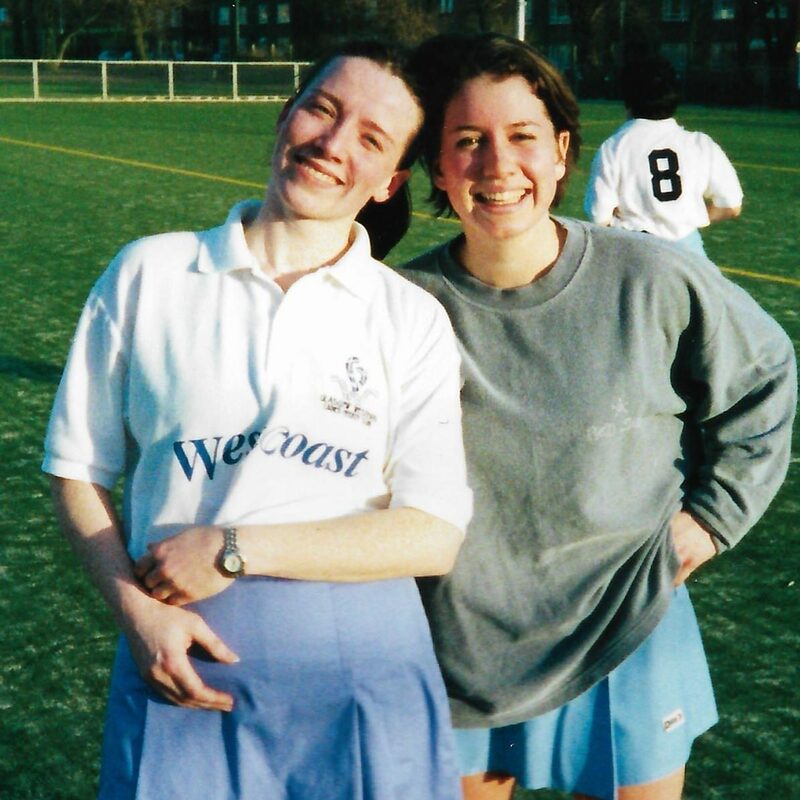 After playing for Hillhead whilst she was at university, Marnie followed some of her West District friends to Glasgow Western Ladies (as it was previously known before the merge of Clydesdale and Glasgow Western) in 1995, where she played predominantly for the 2nd XI for eight years and included the highlight experience of playing in the European Club Championships in 2000. 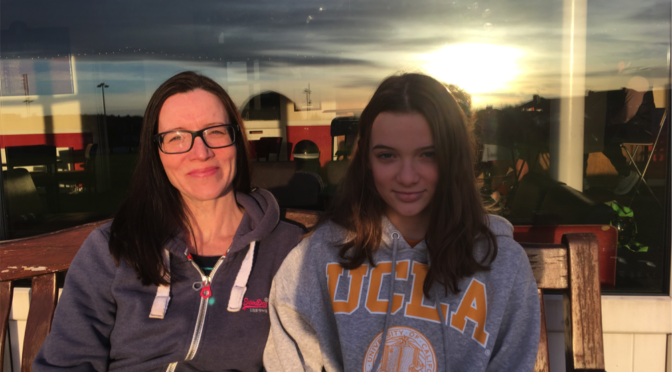 Over the last decade and a half, Marnie has been juggling her job as Software Engineering Director with JPMorgan Chase, travelling back and forth from the United States, being mum to Skye and her son, Ben whilst keeping fit with trail running, triathlon and open water swimming. Skye is very supportive of her mum’s return to hockey, although admits that a warm up with a hot chocolate after her own game tends to win out over watching Marnie’s own game. Skye said, “Hockey at ‘Dale is great because it’s really good to have another group of friends out of school.” As we wound up our chat, Marnie and Skye got ready to head over to the Lagoon Leisure Centre to watch Colin and Ben playing together in the same indoor team. Hockey certainly seems to be a family affair for the Moulson’s. And that is as it should be – after all, it all started on the Clydesdale steps in 2000 when Colin proposed to Marnie at Fireworks night!